Macau junket investor Tak Chun Group is moving its VIP gambling operation at StarWorld Hotel to a different floor and adding two high-roller tables to its player facilities there, the junket group confirmed to GGRAsia. It will launch the relocated VIP club – which will take up the whole of the 11th floor at the Galaxy Entertainment Group Ltd property in downtown Macau – on September 12. The junket firm will host a total of 16 gaming tables there, compared to the 14 it currently has at StarWorld. GGRAsia also asked the junket business when it would open VIP space at MGM Cotai, the second Macau property of MGM China Holdings Ltd. The casino operator’s chief executive told media on Wednesday that VIP rooms would start opening there from next month, but didn’t mention brand names. 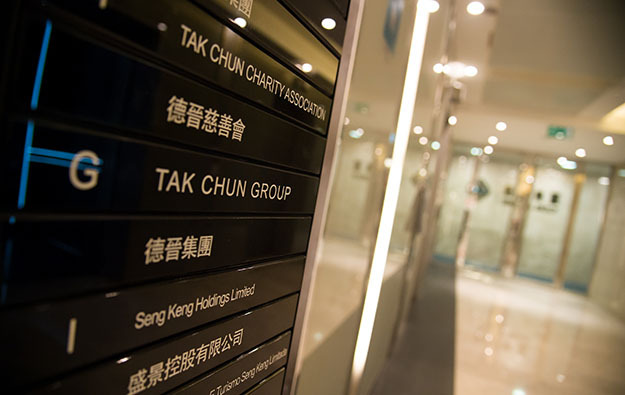 On Friday a Tak Chun spokesperson merely reiterated to us comments by Vincent Li, chief operating officer of Tak Chun, who told media in March that the firm would launch a new Macau VIP club in the second half of this year at MGM Cotai. Currently Tak Chun runs 16 VIP gaming clubs in Macau. Recently the junket firm has been expanding its VIP gaming services in the city and abroad. One at The Plaza Macao opened in February. Another venue at the casino inside the Macau Roosevelt Hotel started operation in May. Outside Macau, Tak Chun opened a VIP club at casino resort Okada Manila in the Philippines in March. In April the junket group launched a VIP club at the casino inside the Crowne Plaza Danang resort in Vietnam.